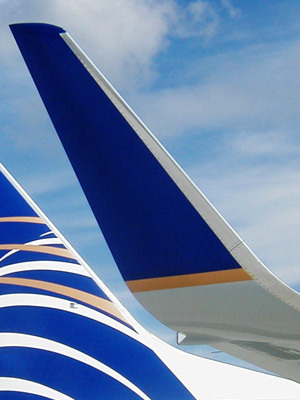 The addition of Aviation Partners Blended Winglets has demonstrated drag reduction in the 5 to 7% range that measurably increases range and fuel efficiency. In addition, the Blended Winglets allow commercial aircraft to take off from higher, hotter airports with increased payload. This enables you to fly farther nonstops or to complete shorter missions with greater payloads and fuel reserves.